Black Friday Kate Favourites - What Would Kate Do? Happy Black Friday! For those of you outside of the United States, the day after American Thanksgiving – Black Friday – is known as the traditional start to the holiday shopping season and retailers open very early (last year Target, Kohl’s and Macy’s all opened at midnight) and offer large discounts on certain items prior to kick off “peak” holiday shopping. Don’t think it’s a big deal? Last year alone shoppers spent $61.4 Billion dollars on Black Friday. What can be most exciting about Black Friday is finding something you have been longing for for awhile at a discount. I don’t believe that buying something on sale just because it’s on sale makes it a good deal – so I like to stop and reflect on what items I actually need – or want – before setting out to make my purchases. 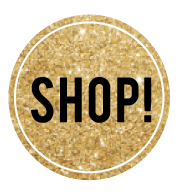 This year, I am sticking to Kate’s go-to items to make up the “for myself” section of my Black Friday shopping list and I wanted to share those with you in case you are also looking for a good deal on a repliKate! And even more listings of Kate’s favourite brands having huge sales? Of course we will accommodate!